Thermaltake is on a worldwide takeover if you ask me! Not only are they one of the companies that cover the most geographical locations, they also probably have one of the widest ranges of products available. 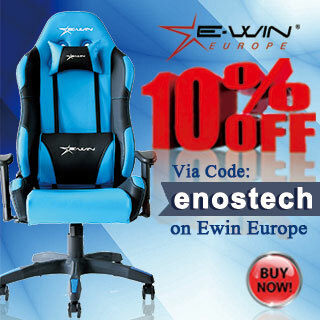 With their main Headquarters in Taiwan, they have bases in many other companies to help with the availability of their products. 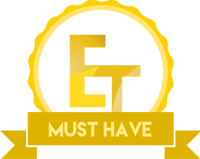 While they are no stranger to a bit of controversy, they seem to always prevail and keep leading the way with the innovative and reliable products. 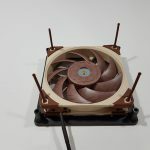 The product catalogue spans across a wide range of things from cases, coolers, fans, power supplies, custom liquid cooling components and more. 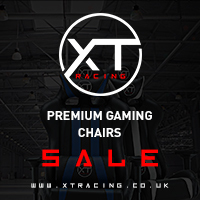 Not only that, they also have a couple of sub-brands, Tt eSPORTS, and Luxa2 which each offer their own unique products based around tech and gaming. 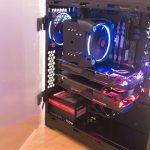 It’s probably a safe bet to say that most people have heard of Thermaltake in some way or for if they are at all interested in PCs. 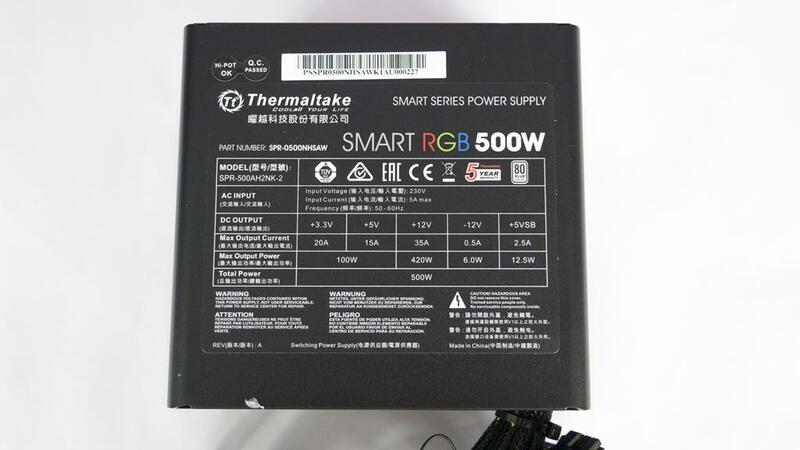 Today, we will be taking a look at the Smart RGB 500W PSU. 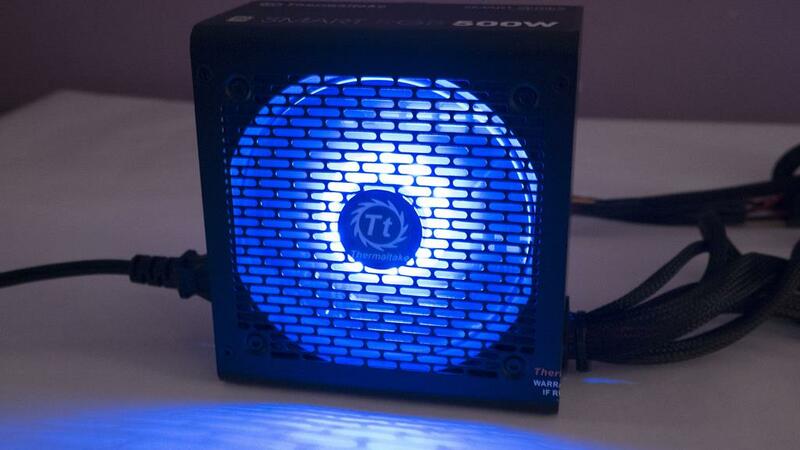 This is a very budget-friendly PSU coming in at around £40 at the time of review. As the name would suggest, this PSU also features some RGB which is impressive enough on its own, let alone when you consider the price tag! 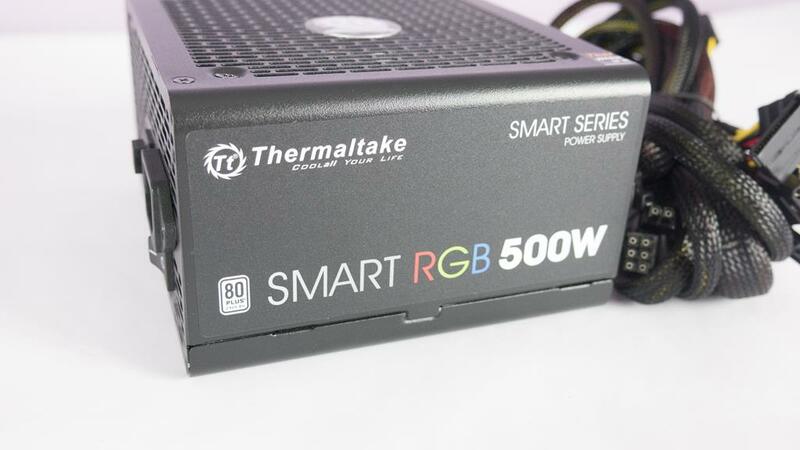 Somehow Thermaltake has also managed to make sure the Smart RGB 500W has an 80PLUS rating alongside its RGB lighting and great price tag. Starting off with the front of the box and there is quite a bit going on. 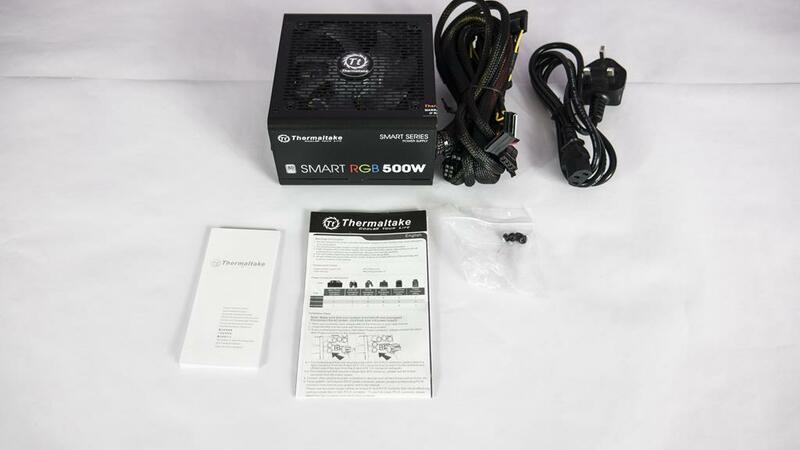 We have a nice image of the PSU itself alongside some info on the PSU itself. 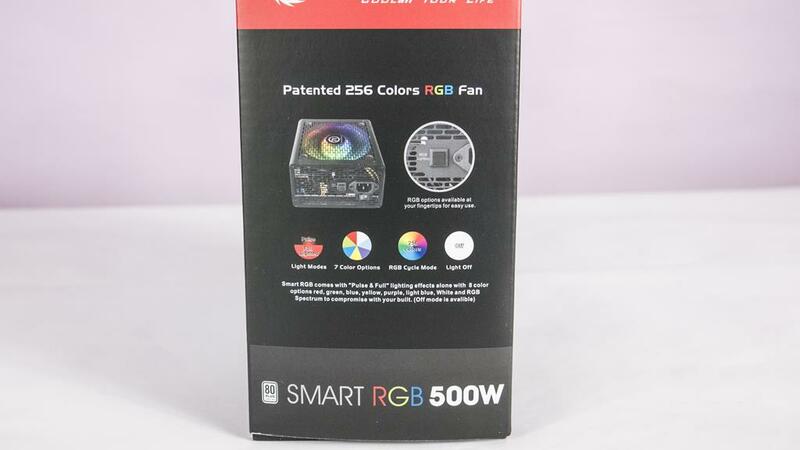 We can see it does, in fact, have RGB lighting as the product name states, it comes with a 5-year warranty, is Intel Kabylake ready and has an ultra quiet 120mm fan to keep all of its internal components cool. The sides of the boxes have some more information regarding the RGB effects including colour modes and how to change the RGB colours. The back of the box is where the technical features and information can be found. There is a list of connectors as well as an efficiency chart and some output specifications. 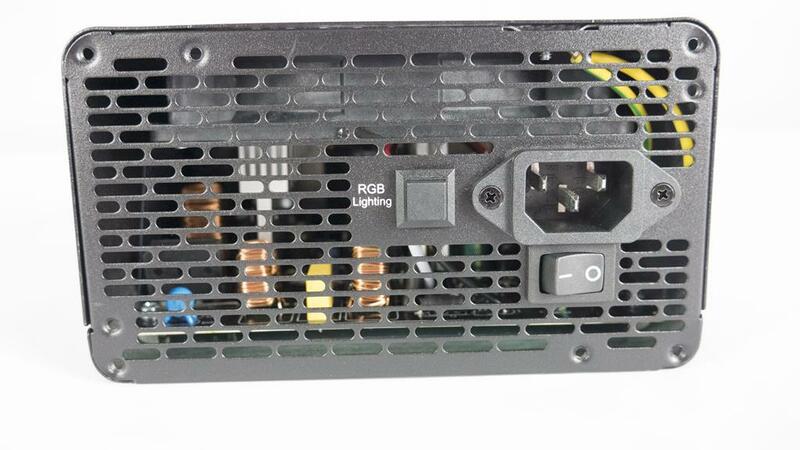 It’s also worth mentioning, as you will soon see, the Smart RGB PSU is not modular. Inside the box, you have the PSU itself, a power cables, 4x mounting screws and a couple of informational brochures. Taking a look at this bad boy up close and personal, it’s gonna be amazing for those budget conscious builders out there. While it does feature an 80PLUS rating, it also looks the part as well for the price tag it carries. Both sides have the same exact thing on them so, either way, you install it you should be good to go. The back of the PSU has the power cable input and a power button right next to the RGB lighting button. 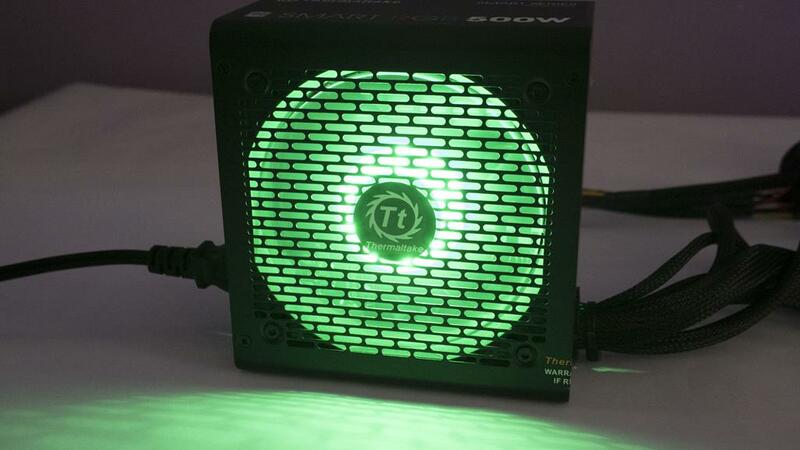 Simply press the RGB lighting button and you can change the colour and effect of the LED fan inside the PSU. 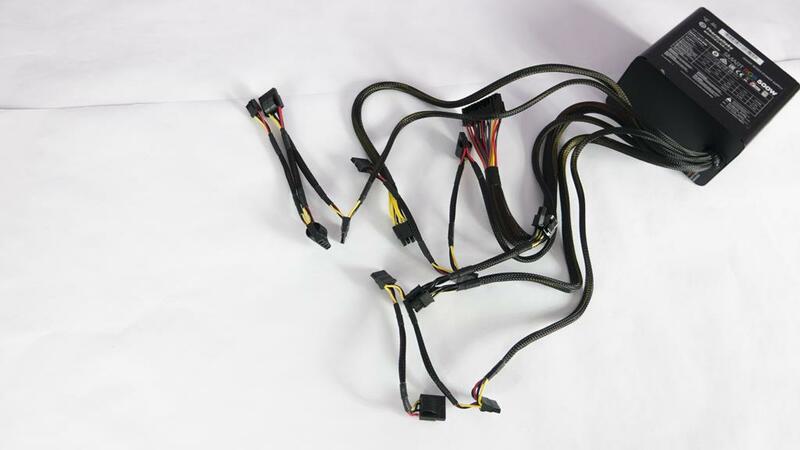 There is no need to hook the PSU up to your motherboard to control the LEDs. 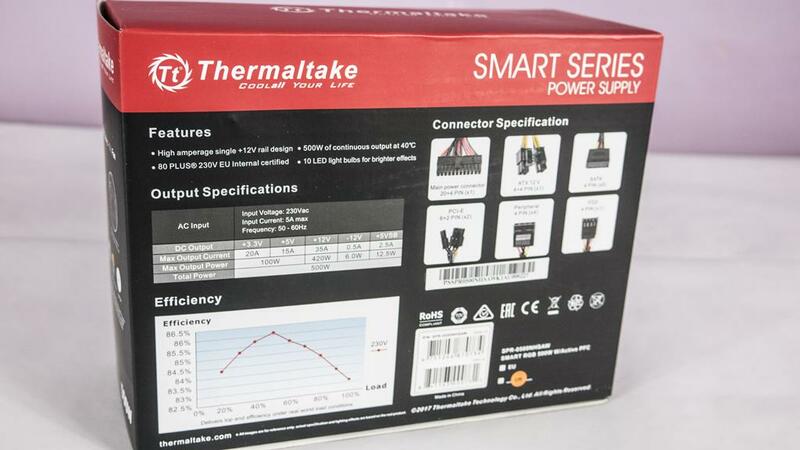 Having a single button on the unit itself most likely has allowed Thermaltake to keep the price of it down. 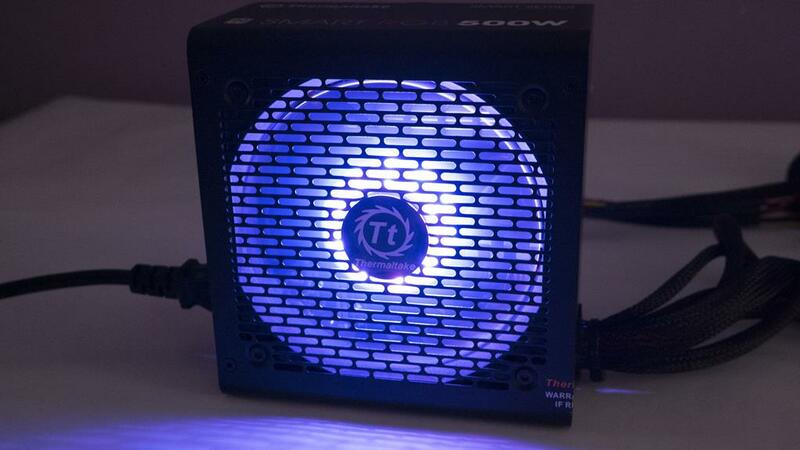 The Smart RGB PSU is meant to be more budget-friendly as we can see. 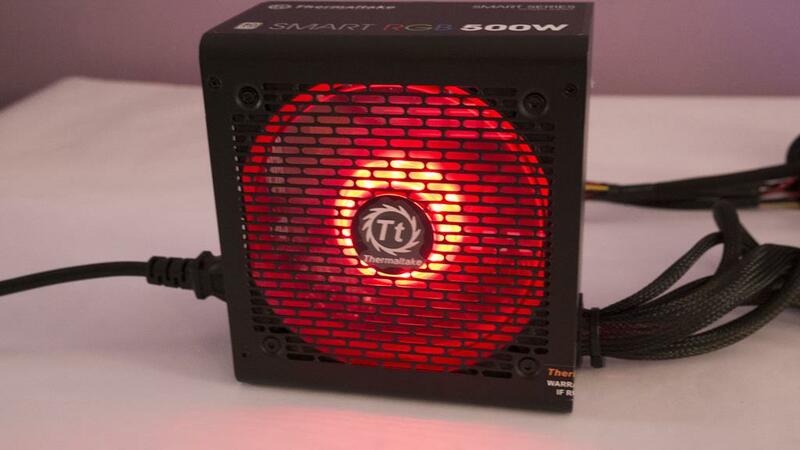 However, users looking for something a bit more advanced may want to check out the Toughpower iRGB PLUS which we have previously reviewed the 1250W model of. The top side of the PSU has the infamous input/output specifications sticker on it. 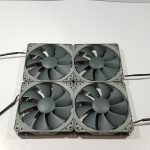 While I am not a fan of this, manufacturers have to do it and it appears as if Thermaltake has made there’s so it can be easily taken off. If you do decide to take this sticker off, you may VOID your warranty or have a harder time RMA’ing it should you need to. 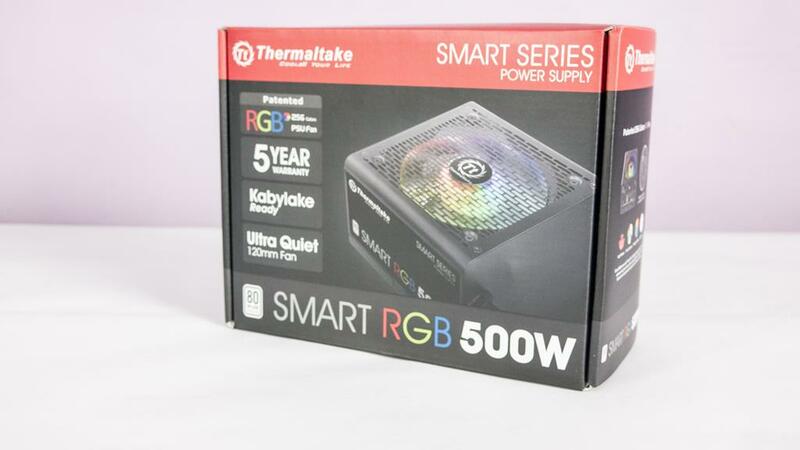 In most cases, there should be no real need to actually take this sticker off as Thermaltake have placed it on the top and not the side, which, in my opinion, is great to see. 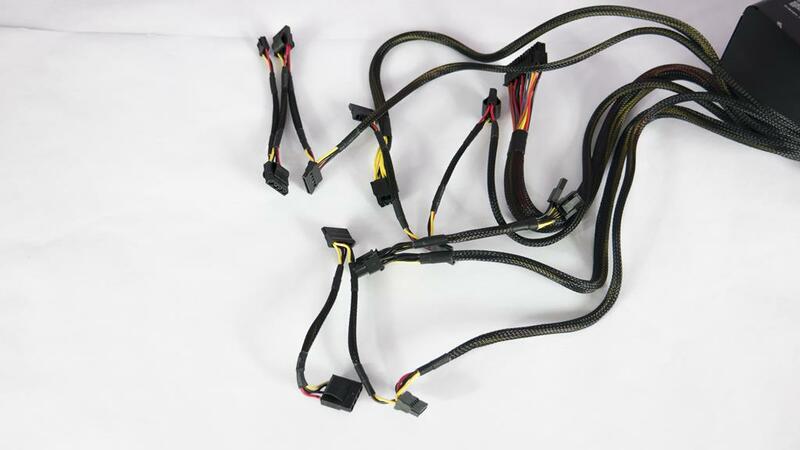 This you be a perfect amount of cables needed for a build that requires a 500W PSU. The only thing I will say about the cables is some of them may be a bit shorter than what you’re used to. 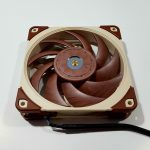 Keep this in mind when deciding on the PSU and/or Case when it comes time for your build. 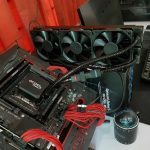 In saying that, the cables will be long enough for most standard cases but if you have a rather large case, it may be something to look into beforehand. 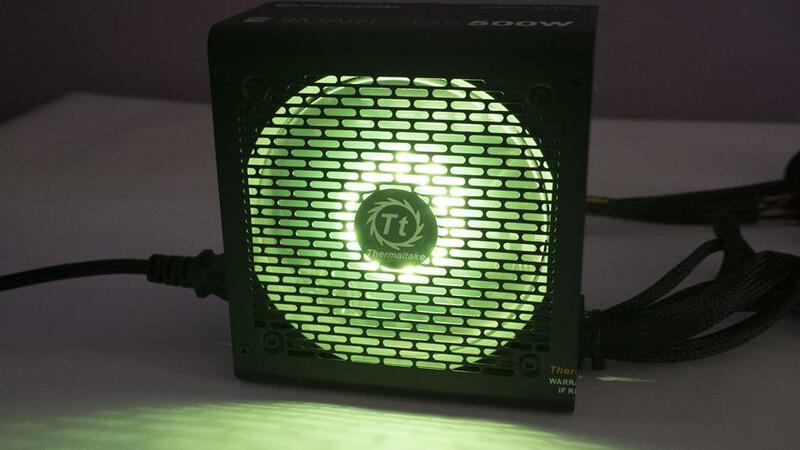 Using the button on the back of the PSU lets you change the colours of the LEDs in the fan. There are also two modes you can choose from, either solid colour or pulsing. 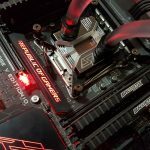 This just gives the user that little extra option to have a bit more customization for their build, well played Thermaltake. As always, I shall mention the fact that we don’t currently have a load tester to appropriately test all aspects of a power supplies function. However, we do have a number of tools at our disposal that do let us carry out so minor testing. 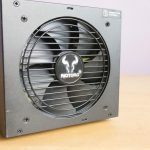 I’ve tested the PSU by powering it up on its own, using it to power up a system and leaving it to idle and also during gaming and stress tests. In all of my testings, the 3, 5.5 and 12v lines were all operating within their respective ranges. It would have been nice to check for ripple on these lines and well our testing isn’t top of the line, it does help us to gauge the performance at least a bit if nothing else. As far as performance goes I would have no issue using this PSU as it is designed for, in a budget orientated build. Performance aside, the design of the PSU is quite impressive as well. The PSU, while lightweight, doesn’t feel cheaply made and it looks quite nice, especially when you get those RGB lights going! Anyone who knows me knows I am a sucker for some blue LEDs and the colours given off by the Smart RGB PSU are spot on! 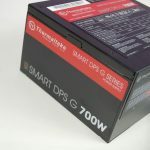 Coming in at just £40, this is not the cheapest 500W PSU on the market and if you ask me, that’s a good thing. When searching around, I could find some other 500W models for around £5-£8 cheaper but not a single one of them that I saw had RGB lighting. 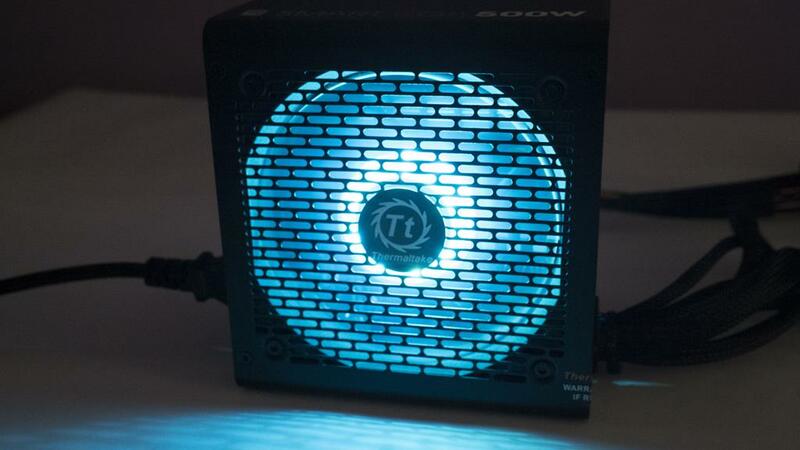 While RGB lighting isn’t for all, the ease of being able to set it to a single colour of your choice should go over well with most interested in this PSU. 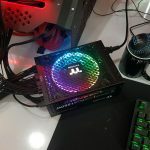 At this price, you don’t get a modular PSU and that’s fine because what you do get, is an RGB capable PSU that offers good performance and comes backed by a 5-year warranty for peace of mind. 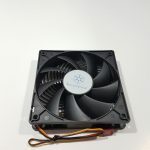 If you are in the market for a cheaper PSU that has a lot to offer, this very well may be the one for you and is definitely worth looking. 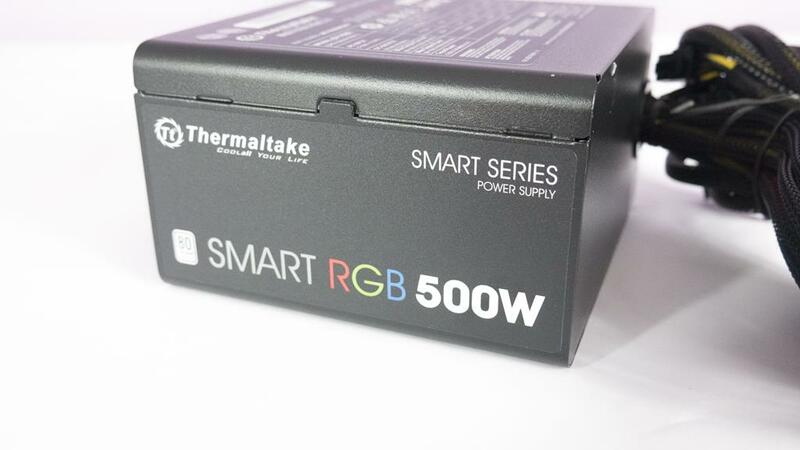 Many thanks to Thermaltake for sending in a sample of their Smart RGB 500W PSU!